‘Industry 4.0’: How can we use tech to accelerate #SDG9? Digital Transformation. The Fourth Industrial Revolution. Industry 4.0. Behind the buzzwords lies a fundamental shift in how economies will be structured as industries integrate Artificial Intelligence (AI) and other game-changing technologies into daily production processes. The changes are coming faster than we think. They will transform workforces. They will drive economic growth. They will change what our children learn in schools. But how can we ensure these changes are for the greater social good? How can we maximize the benefits for everyone worldwide? How can we use technology to speed progress on the United Nations’ Sustainable Development Goal No. 9 (SDG 9) – to “build resilient infrastructure, promote inclusive and sustainable industrialization and foster innovation”? Top industry, government and civil society leaders met to discuss these critical topics in depth this week at a Special SDG 9 Session at the World Summit for the Information Society (WSIS) Forum 2017. The special session, hosted by ITU and the UN Industrial Development Organization (UNIDO), also served to highlight the new partnership the two UN agencies recently launched to drive progress on SDG 9. Indeed, the stakeholders at the session were engaged. “The international community now recognizes the large number of opportunities for growth offered by digital transformation, interconnectedness and new manufacturing technologies related to Industry 4.0,” said Ms. Fatou Haidara, Managing Director of UNIDO. How can progress be achieved? Realizing that growth, however, is easier said than done. Certain conditions need to be in place, said Jos Verbeek, Special Representative to the UN and the WTO in Geneva for the World Bank Group. And it’s not just about the technologies. “To get the most out of the digital revolution, countries also need to work on the analog components by strengthening regulations that ensure competition among businesses, by adopting workers’ skills to the demands of the new economy and by ensuring that institutions deliver and are accountable,” he said. Many government ministers are “baffled” by the number of tech options being presented for development, said Prof. Christopher Yoo, Professor of Law, Communication, and Computer and Information Science at the University of Pennsylvania Law School. What they really need is data on what works and what doesn’t, he said, which is why he and colleagues have worked to produce 40-50 case studies from across the world and soon will have more than 100 that can inform decision making. “The demand side is critical,” said Yoo. We have a tendency to focus on the supply side, including infrastructure and pricing, but studies in the developing world show that “relevance [of content] and digital literacy are much more significant barriers” to connecting the unconnected — and growing a domestic digital economy. Digital literacy is a key part of the equation, said Ms Elsie Kanza, Head of Africa for the World Economic Forum, which dedicates a lot of energy to issues related to Industry 4.0. “In the digital literacy space: what is the minimum standard of digital literacy today?” Having that standard would be helpful for driving digital skills, she said. Companies are increasingly finding cross-sectoral business cases in emerging and frontier markets, and investment is flowing. 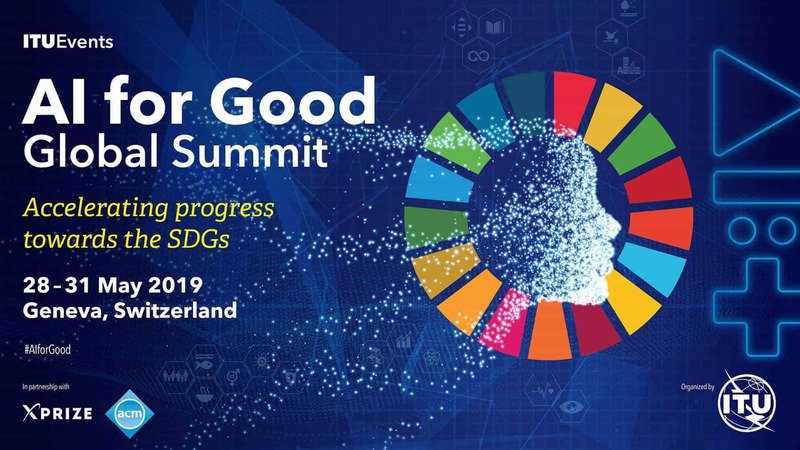 During the Special SDG 9 Session, many panelists and participants underscored the need for businesses large and small – across industries – to work together to achieve growth in the new digital economy. “It’s really important that decisionmakers in industry [are] informed about what’s possible nowadays,” said Prof. Sami Haddadin, Professor and Director of the Institute of Automatic Control at Leibniz University in Germany, a country that is a leader in Industry 4.0 due to its longstanding engineering prowess and modern tech know-how. Small and Medium Enterprises (SMEs) and large manufacturers need to come together more to discuss what the roadmap for automated systems could look like so they can put together new business models. “The startups are the center of this revolution,” said Mr. Sebastián Díaz, Director of Marketing and Communications for Start-Up Chile. “The main challenges are not for startups, but for big corporations.” If you want innovation, you need to bring more entrepreneurs into your company, he said, adding that it’s hard for big corporations to innovate. Start-up Chile, he said attracted entrepreneurial talent from some 80 countries to help bring innovation to Chile’s new digital economy – in part by helping large corporations innovate. “We were late to the last revolution. We cannot be late to this revolution,” he said. That’s why Chile’s government realized the need to invest in startups and to work closely with the private sector, which is where the talent is, said Díaz. Operating robotic systems will be like using a screwdriver? We will soon be at a point where operating robotic systems becomes so ordinary, it will be like using a screwdriver, said Haddadin. Concrete next steps? That’s a much harder proposition in this brave new world. It will, of course, vary from country to country. To empower stakeholders to accelerate digital transformation towards Industry 4.0 through innovation, ITU has launched a toolkit : Bridging the Digital Innovation Divide during WSIS 2017. ITU plans to expand its collaboration on the country implementation of innovations policies and projects, with international partners including UNIDO, in both public and private sectors. ITU will continue to strengthen its initiatives to enhance Member States’ capacity to integrate ICT innovation in their national development agenda. One thing seems certain: Progress on SDG 9 will require all stakeholders working together. View the Facebook live from the session here.